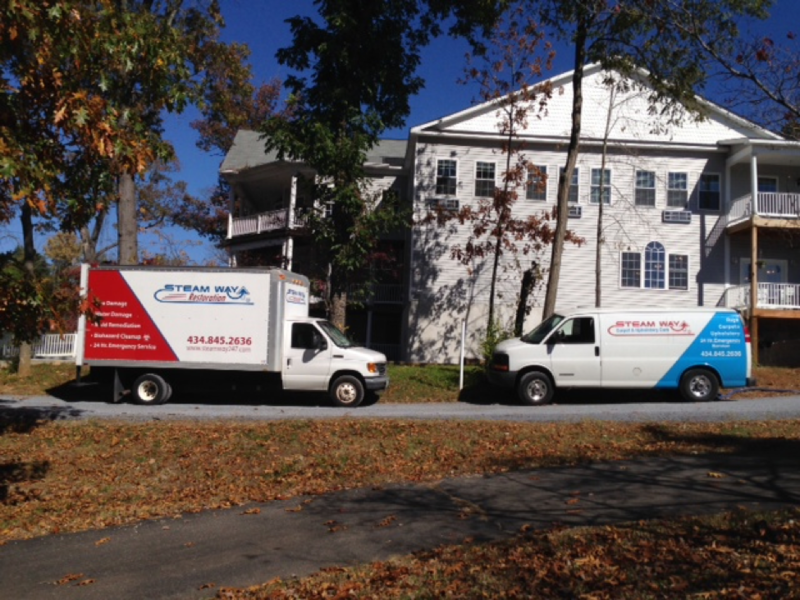 Carpet Care of Central VA, Inc., dba SteamWay, was formed in 1986 and is committed to continued excellence. We believe that our product is incomparable with regard to the professionalism of our employees; quality of workmanship, and end result. 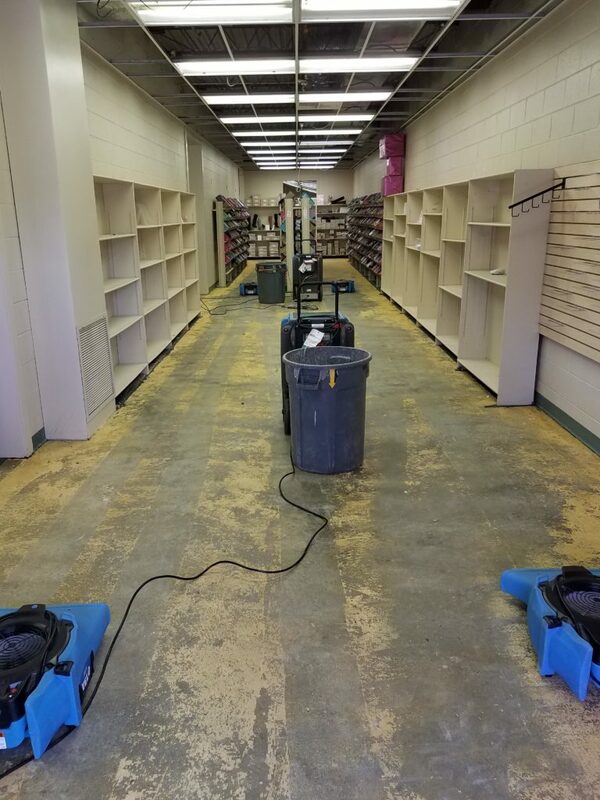 We dedicate our over 20-years of experience and the individual, personal commitments of our owners, management and employees to providing our customers with state of the art cleaning services and restoration services at affordable prices. STEAM WAY is locally owned and operated, and has been in business for over 25 years. At the beginning of August, Lynchburg saw several inches of rain in one day. Some areas saw as much as six inches. This much rain in such a small amount of time created flooding throughout the city. SteamWay started receiving calls Thursday, August 2nd, about peoples homes and businesses filling with water. Our crews worked through the night extracting water and placing drying equipment. 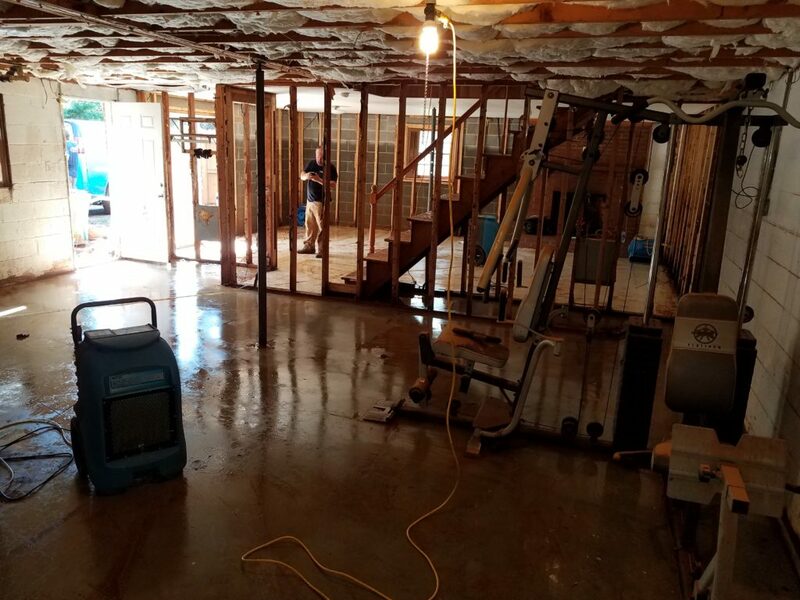 Here are some tips on what to do when your basement has flooding. Before you do anything, make sure to shut off any power around the area, including electricity and gas. Never enter a flooded area while the power is on. If your basement has a floor drain, check to make sure it didn’t become clogged during the flood. 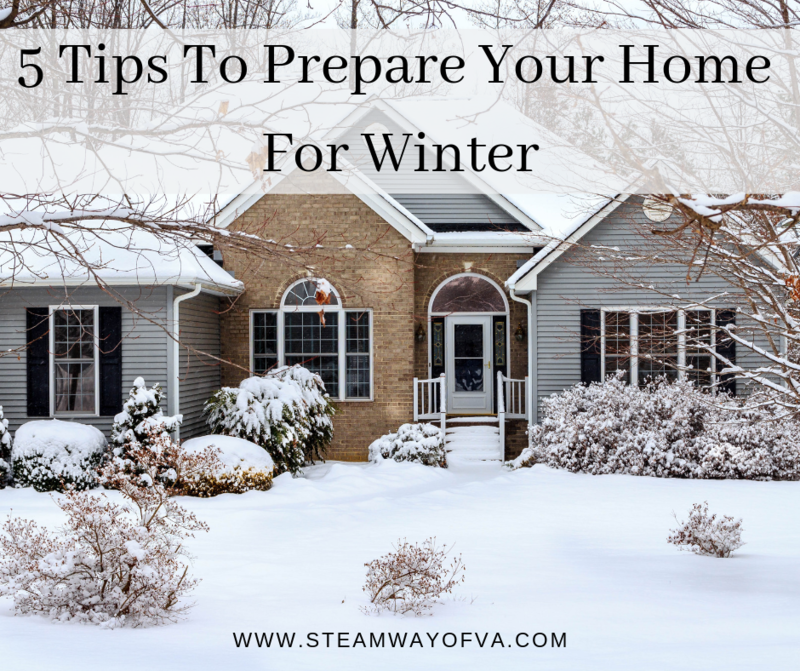 Keeping it open and functioning will help drain the water. Move damaged items out of the basement to dry in a well-ventilated area. If weather permits, a sunny place may lend itself as the best option. It’s best not to dry out items inside the basement, which is already damp. A good rule of thumb is to give items about 48 hours to thoroughly dry. If they remain wet, they may need to be discarded in order to avoid mold and mildew. The best advice is to inspect things carefully after the 48-hour period and decide the best course of action. Don’t try to save wet cardboard boxes, since they can be especially susceptible to bacterial growth. Salvage the contents of the boxes if you can, and discard the cardboard containers to be safe. Rip up carpeting and get it out of the basement as soon as possible. Carpeting can prevent the floor underneath from drying if it’s not removed quickly. Although it can be difficult to adequately dry out these materials, sometimes wet carpeting can be saved. If you need a professional to help with your water damage needs. Who Do You Call When You Have Water Damage? Water damage can be devastating to your home. Calling SteamWay to help with your water damage needs means you will get your areas dried quickly. 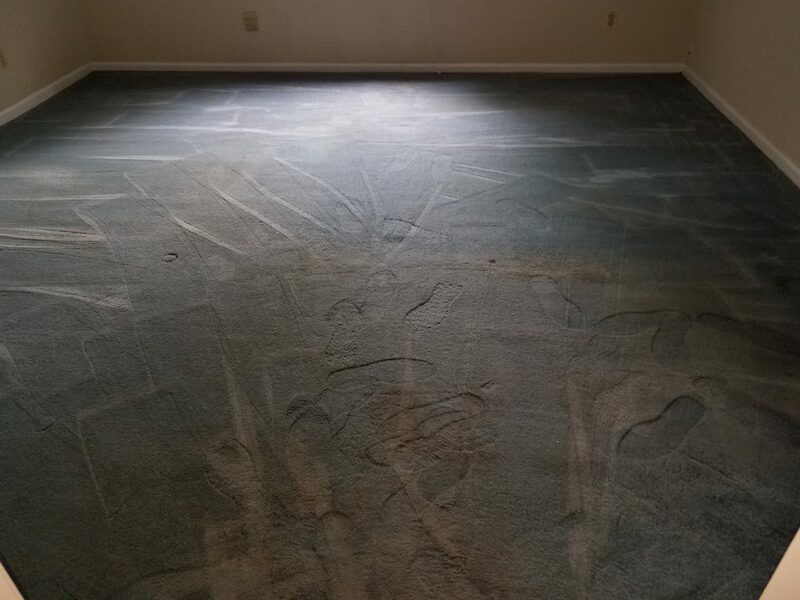 Some water damage can be devastating to your carpet though. 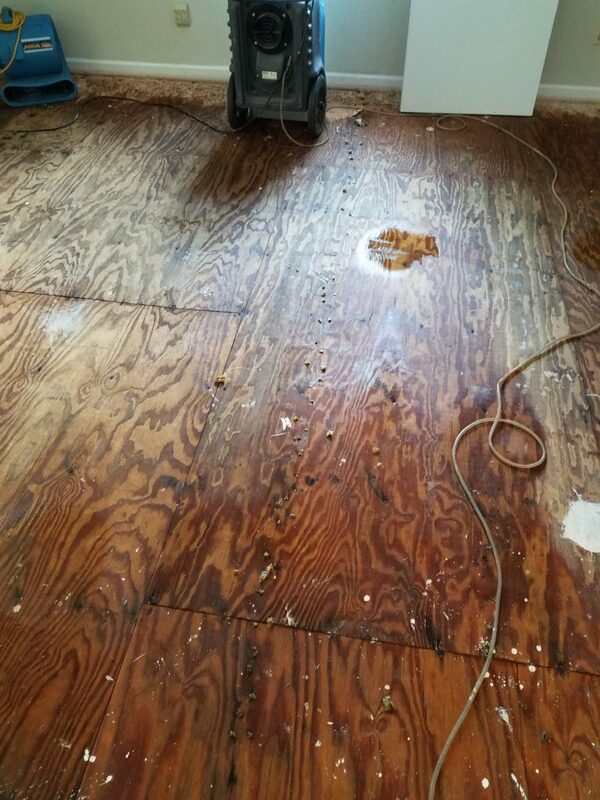 In this particular case, we had to remove the carpet and padding to dry the subfloor before mold set in. Mold can be a costly and hazardous situation if water is not dried quickly. 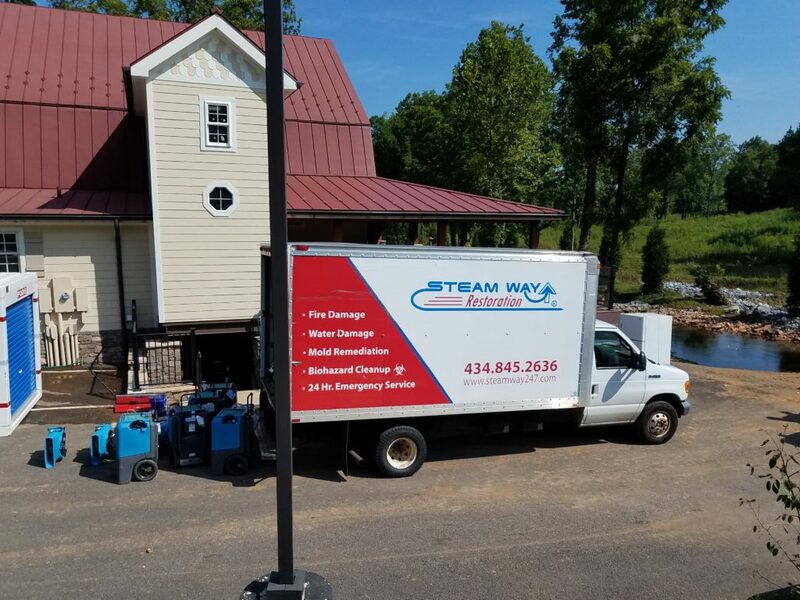 Twenty-four hours a day, seven days a week, SteamWay is here for you in the Lynchburg area, and ready to deploy on a moment’s notice. 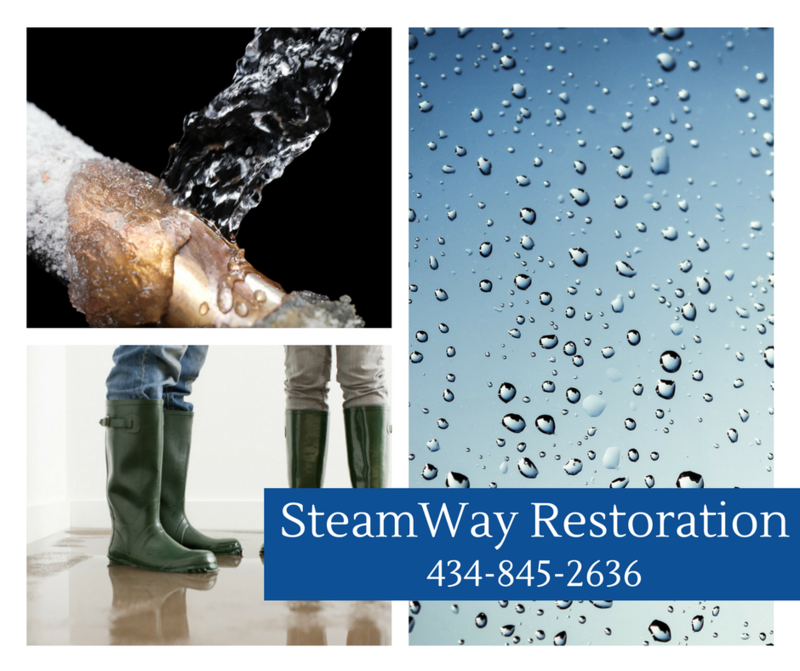 When you count on SteamWay to restore your home or business, rest assured in knowing our trained and certified water damage restoration technicians are working for you. Using nothing less than state-of-the-art equipment, we handle every job from start to finish. Is Your House The Perfect Home For Mold? 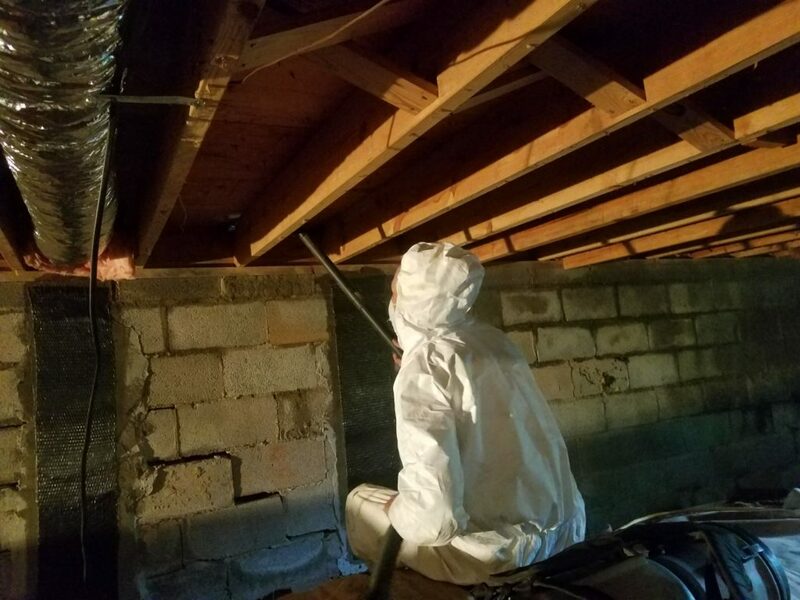 There are actually five factors that are needed to support fungal growth, but water is the factor most easily controlled indoors and is the one factor every species of mold requires. The other factors are temperature, light, nutrients (food source), and PH (molds prefer a slightly acidic environment). 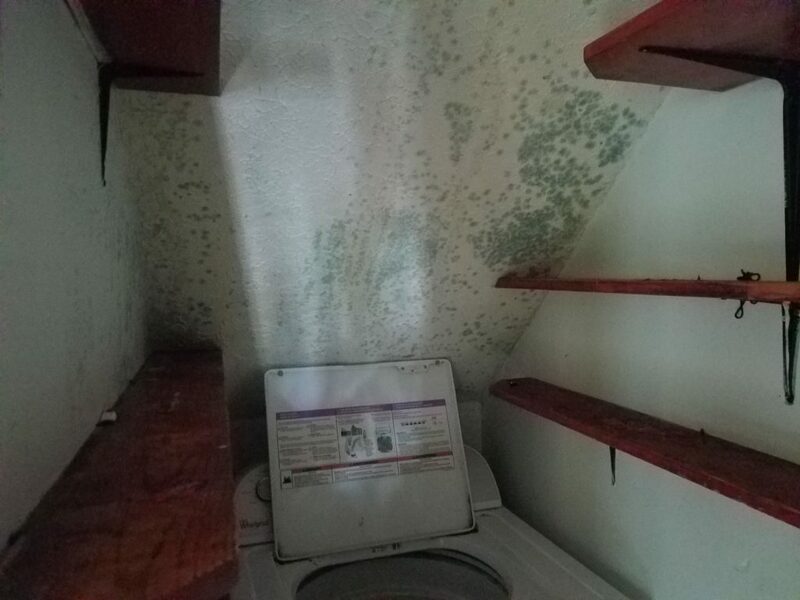 Water is one of the key ingredients for mold growth. Water can also be the result of excessive humidity. 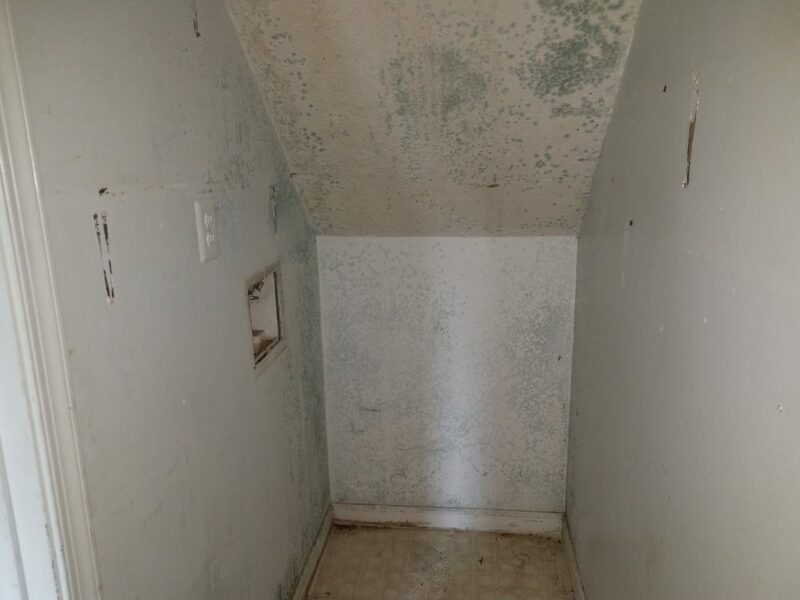 When excessive humidity or water is the culprit of mold growth, one of the first things that you want to do is remove the water. Here at SteamWay we get to the root of the problem, not just the surface. Mold spores attach themselves to a surface and when the conditions are perfect for growth, it starts spreading quickly. 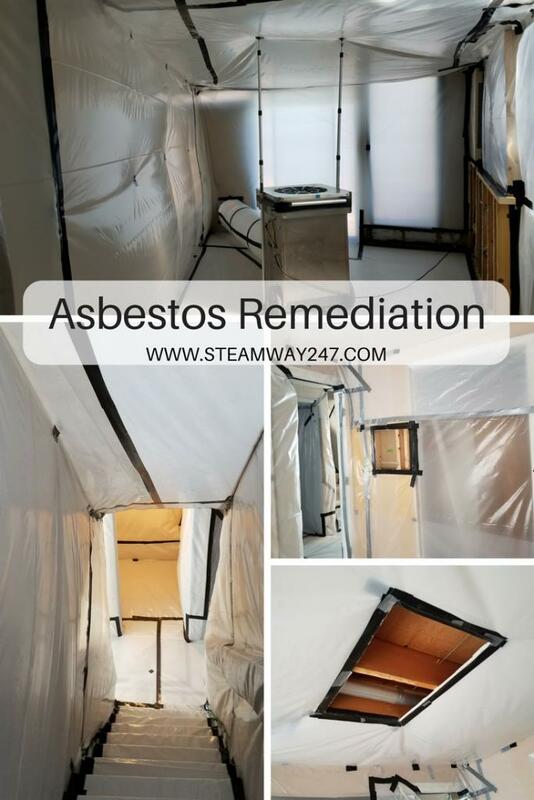 If mold has been there for a while, to remove it, you need to get to the root of the mold. Usually, that means taking out drywall or floorboards. Limited airflow, high moisture content, and limited light are a few key things to promote mold growth. 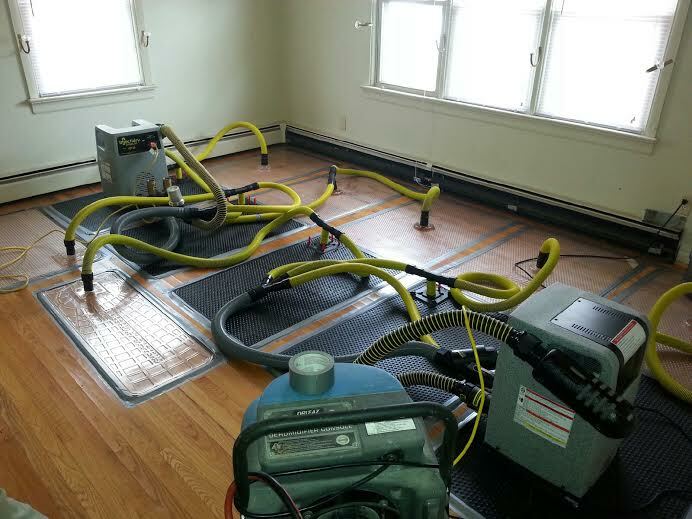 If your home is poorly ventilated it can create pockets of stagnant moist air which mold thrives in. Steam and water evaporating into the air create humidity inside which then needs to be circulated outdoors through windows to keep the moisture level balanced. Poor ventilation also means wet surfaces dry out more slowly. Ventilation is especially important in rooms such as the bathroom and the kitchen where there is a lot of steam. Do not ignore the early signs of mold in your home. 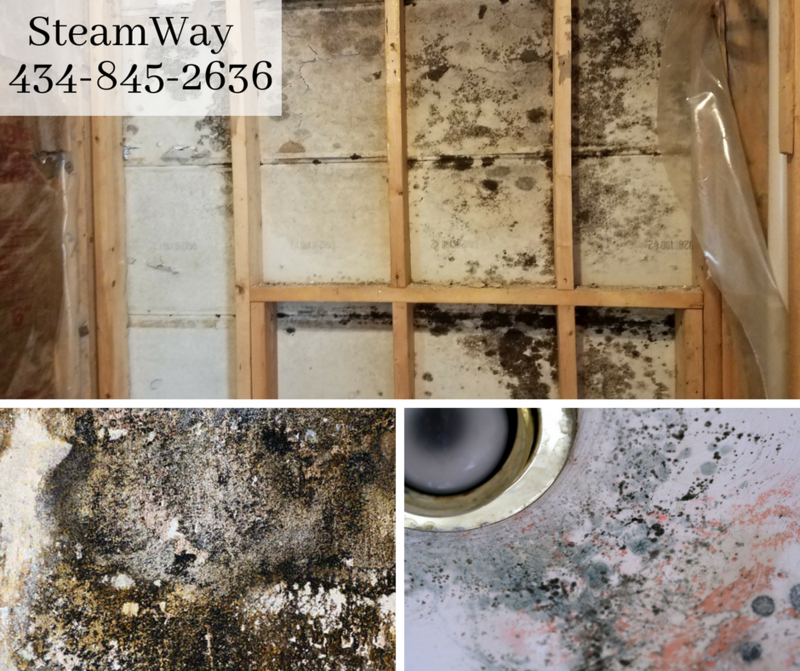 If you can smell mold in your home or you have had wet building materials for more than 72 hours, then it may be time to call the professionals at SteamWay. 434-845-2636. Where Would Asbestos Be Found, and When Can it Be a Problem? Electricity is generally a safe and reliable source of power for your home. If used carelessly, however, electricity can be dangerous. 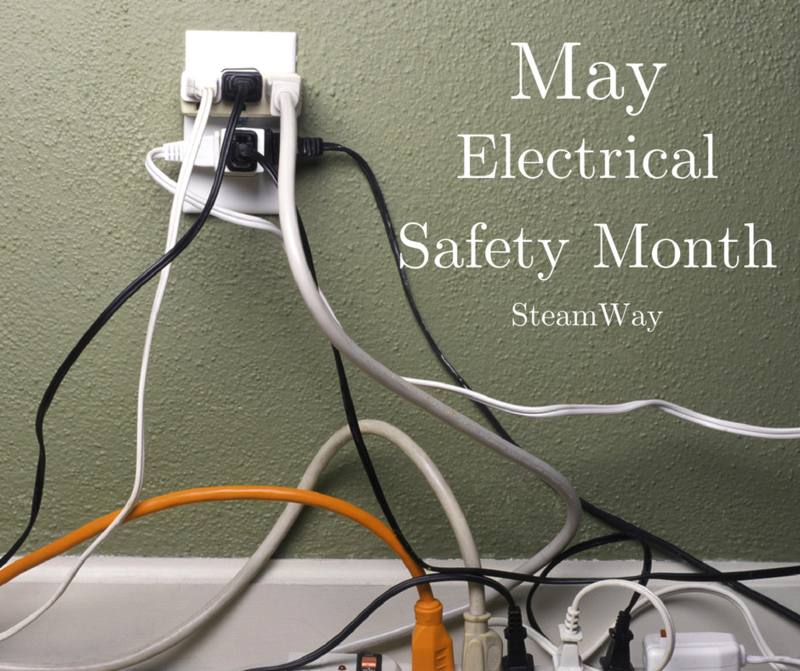 The Electrical Safety Foundation International has designated May as National Electrical Safety Month to raise awareness about electrical safety issues. You can do your part by familiarizing yourself with electrical hazards and taking steps to make your home safer. Some water damage will be subtle, just a pinhole that sprays water slowly down a wall and under the floor. The evidence of the damage may not reveal itself for days to come. Other water damage will be obvious, and water will gush until the valve behind it is turned off. You’ll have to look closely, but if you examine the floor joists in this home you’ll see the mold growing. The mold has led to unacceptable levels of airborne spores, and thus the call to SteamWay to remediate. The longer you wait to dry a structure, the worse it will get. 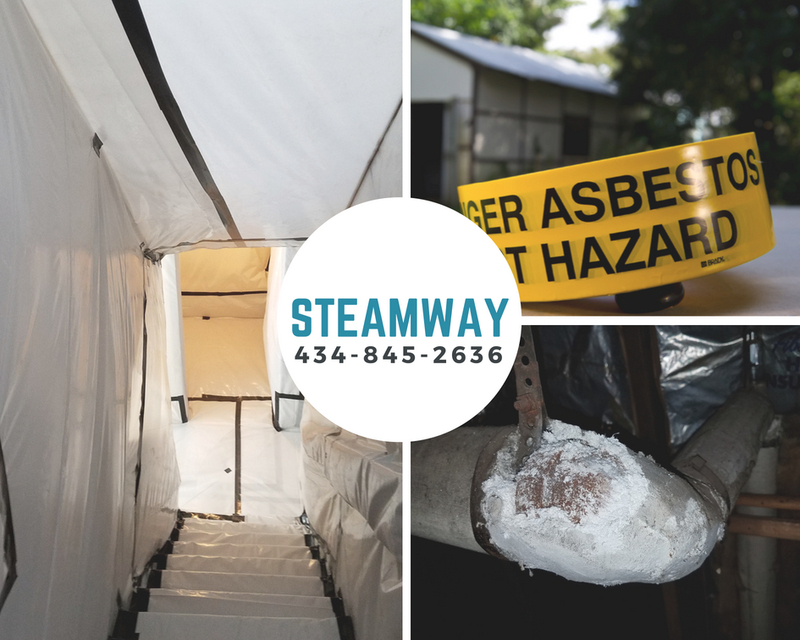 After years of handling mold remediation, SteamWay has entered another environmental market, that of asbestos remediation.